Citronellyl Valerate (7540-53-6) IS colorless clear liquid. It is also available in multiple packaging. 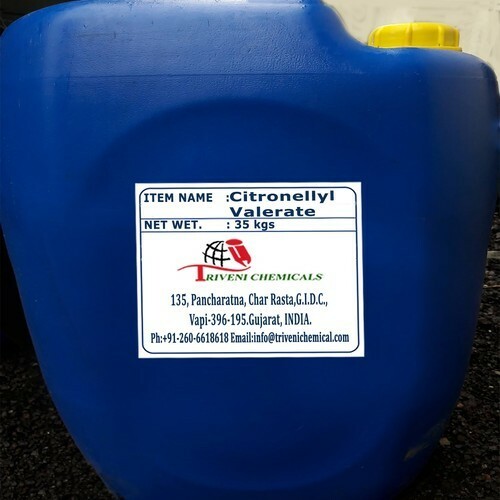 Citronellyl Valerate is available in multiple type of packaging.Triveni Chemical is one of the leading supplier of Citronellyl Valerate in india. Also, we deal in all types of chemicals.